Please select an option Set5 Set2 Set3 Set1 Set6 Please select a color. PERFECTLY USE - These head bands are really soft and stretchy, hairbands are perfect for Sports(yoga/running/hiking/etc), Party, Dancer, Prom or just Daily Life; the turban headbands not only keep you a wonderful looking but also keep your hair style and absorb sweat! 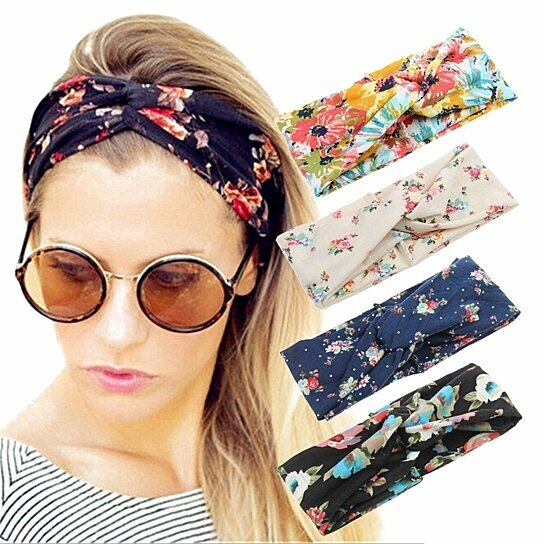 NICE DESIGN - Bohemia style flower printing make the boutique headbands very charming and elegant, 4 different cute pieces show your different styles! JUST RIGHT SIZE - Girth 18", wide 3.3", one size, wide and elastic! Package includes: 4 pack cute head bands.